When the Camp Fire decimated California communities earlier this year, Sierra Nevada decided they could help by doing what they do best: Brewing a hop-forward, classic California IPA. We're proud to join more than 1,400 breweries across the country, and Sierra Nevada, in this relief effort. 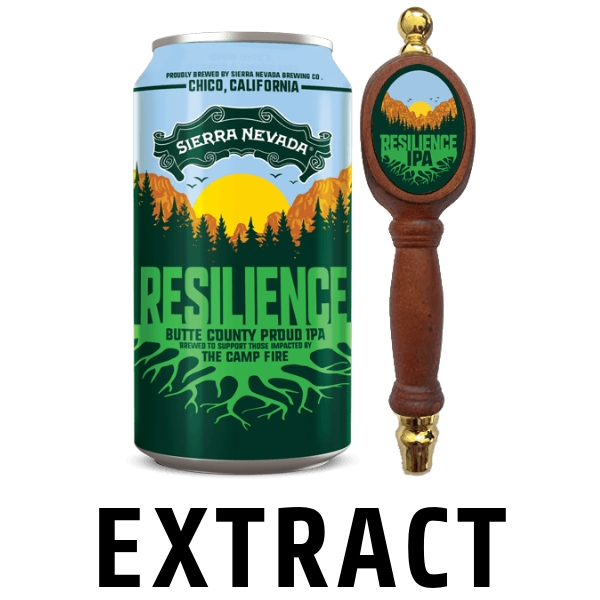 All profits from the sale of this beer will go to the Sierra Nevada Camp Fire Relief Fund, aimed at long-term community rebuilding support. Bottle caps and priming sugar are not included but can be selected on this product page.